If you’ve ever dabbled in the Home Theater PC (HTPC) world, you know that your HTPC setup can be as simple as a single computer connected to a TV and the Internet or as complicated as one could dream. To get an idea of what I mean here, you might be interested in a thread started on the SageTV forums this past April that highlights many SageTV users HTPC installations as well as a similar thread on the BeyondTV Forums. 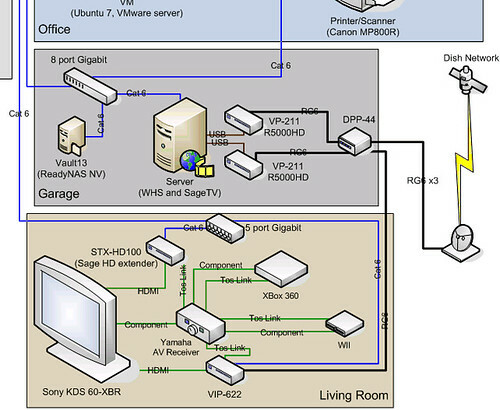 These system diagrams can be helpful when you’re planning a new, networked HTPC setup, expanding an existing HTPC setup or even explaining your setup to others and showing how everything is connected and works together behind the scenes. The second one I wanted to highlight is even an more complex setup by SageTV Forum member Slipshod. It shows each room’s individual setup along with the inputs and outputs of the system. 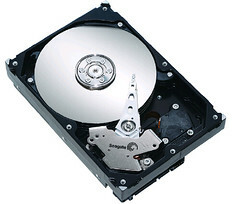 Included are SageTV HD100 extenders, Windows Home Server PC with SageTV, two R5000HD tuner a Roku Soundbridge and more. 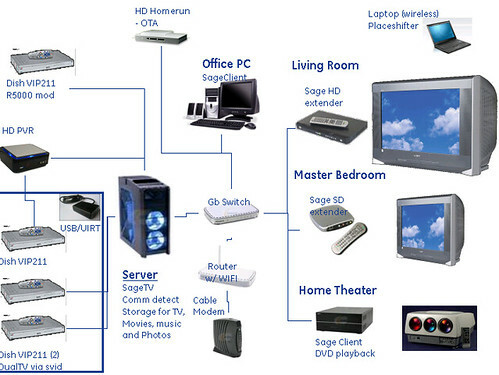 Check out all of the HTPC diagrams on the SageTV forums and on the BeyondTV forums for ideas for your HTPC setup. If you have an HTPC diagram of your own, let me know in the comments with a link to the location. There are several ideas for making these types of diagrams in that forum thread as well -some used Microsoft Visio while others used Autocad and PowerPoint to make their diagram.